Category 6 Outdoor is REACH and RoHS compliant. Suitable for direct burial, lashed aerial, duct and underground conduit applications. 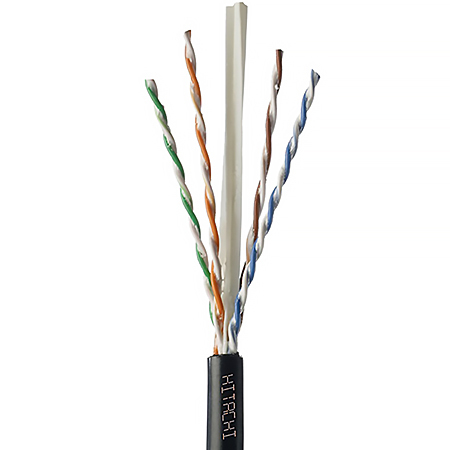 Cable core is filled with non-conductive, water-blocking gel and has a rugged black polyolefin UV resistant jacket. Applications include 10 gigabit Ethernet, 10G BASE-T, broadband video and more. Made in USA.